Spring has officially sprung, and it's time to get back into working out. As hard as it can be to get back on the treadmill, cute workout clothes always make sweat sessions a little bit easier. That’s why we’ve compiled a list of stylish athletic wear brands that will motivate you to get to the gym and get your endorphins pumping! In 2014, Bandier was founded with the mission statement of bringing fashionable pieces from different athletic brands to one place. Bandier features pieces from over 50 different athletic brands including Girlfriend Collective, All Access and Nike. While you can shop the entire collection online, there is also a Bandier store located at 108 5th Ave., New York, NY 10011 in Union Square that offers a wide array of products. The Kessler Medium impact Sports Bra in Charisma. If you’ve ever searched the internet for cute workout clothes, you’ve likely discovered brands that retail sports bras for around $50 and leggings for $100. Luckily, the team at Fabletics understands that many people cannot afford to pay that price for athletic wear, especially college students. Fabletics offers a wide variety of sports bras, tights, tops and outerwear for lower prices. Most sports bras cost $25 while leggings are priced as low as $30. Plus, their clothes are always high quality and on trend. 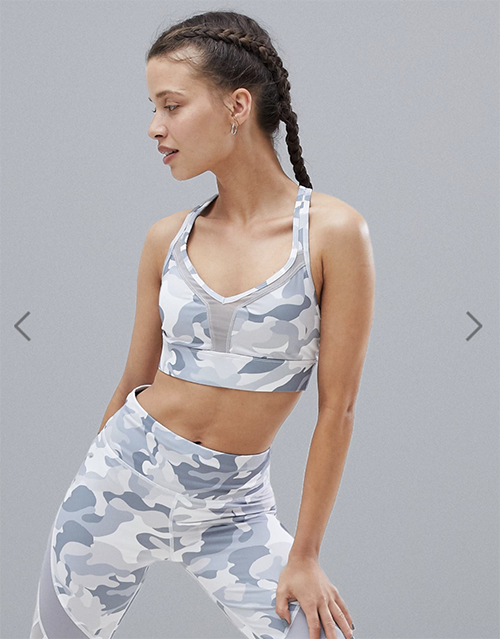 Like Fabletics, Gymshark is on the more affordable side. Most of their leggings are $55 while their sports bras ring in around $35. Gymshark has a wide selection of matching sets that come in cool patterns, unique textures and just about every color. Plus, Gymshark is all about gym positivity and encourages women to not be afraid to hit the weights. Although The Upside may not be as well-known as the other brands on this list, their clothing has been worn by many celebrities, including Hailey Baldwin and Rosie Huntington-Whiteley. While The Upside is certainly on the more expensive side, they have amazing designs. From camo print and paint splatters to dinosaur patterns, this brand does not disappoint when it comes to creativity. As athleisure culture has emerged over the past years, a lot of well-known fashion brands such as Forever 21 and Urban Outfitters began cultivating stylish and affordable athletic wear. Among the many options now available, one brand that stands out is Asos. 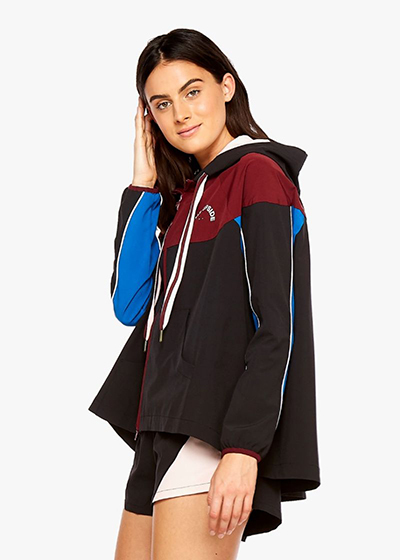 Asos is beloved for its inclusive size range and cutting-edge style, and they also have exclusive collaborations with popular athletic brands such as Puma and Reebok. Regardless of which activewear brand you choose to work out in, the important part is that you feel comfortable and that you get moving!